News - More Michael Jackson albums coming? More Michael Jackson albums coming? Michael Jackson could be set to hit the charts again following the success of his recent posthumous album Xscape. The record featuring unreleased songs from the late King of Pop was number one last month, almost five years after his death, and now Rolling Stone has reported that more music could be on its way. Repackaged material and out-takes from the late pop star's sessions in the recording studio could mean up to eight new records are unveiled. Producer Rodney Jerkins said: "We got more surprises coming." It seems the new releases could be possible because Jackson often recorded more material than he needed. His long-time engineer Matt Forger said: "It was frequent that Michael would record songs and put them on the shelf." Xscape featured eight previously unavailable songs originally recorded between 1983 and 1999, which were given extra sparkle by well-known producers such as Jerkins, Timbaland and Stargate. It followed an album called Michael in 2010, which included some unreleased material from the Billie Jean singer. 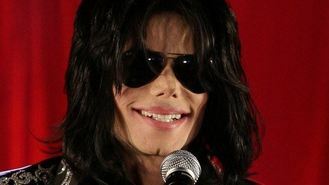 Jackson died in 2009 as a result of an overdose of the anaesthetic propofol as he prepared to make a live comeback with a string of shows at London's O2 Arena. Rik Mayall could top the charts less than a week after his death after an online campaign by fans sent sales of his failed football song, Noble England, rocketing. Mr Hudson has said Miley Cyrus may have a crazy reputation but she knows exactly what she's doing as an artist. Alex Turner has admitted it is unlikely Arctic Monkeys' next album will be out any time soon. Morrissey has cancelled the remainder of his US tour after collapsing and being taken to hospital. Metallica are too "abrasive" for Glastonbury festival goers, Jarvis Cocker has claimed. The Kinks' Ray Davies has hinted that he could reunite with his brother Dave, after an 18-year hiatus. Union J have become Triple J again for one night only when George Shelley was forced to sit out a gig because of a foot injury. Jennifer Lopez will not perform the World Cup's official song alongside fellow artists Pitbull and Claudia Leitte during the tournament's opening ceremony in Brazil.